A commonly used type of blind, offering you security and ease of use simultaneously. With a venetian blind, the slats are positioned horizontally. This allows for excellent sun-blocking effects, rarely found in other blind types. Cords are passed through all slats in the blinds. This allows you to rotate all blinds simultaneously. And you can rotate them at almost 180 degree angles. Here are LA Blinds, we provide different types of venetian blinds. We offer metal, wood, and fauxwood blinds. Be sure to read up on each subsection, where we list the advantages of each. At LA Blinds, we offer 3 types of venetian blinds. One would be the metal variant. This is a variant that we highly recommend to many of our customers. A metal venetian blind comes with many advantages, not found in wood and composite fauxwood. Metal Venetian is known for durability. They sustain wear well, and are resistant to many afflictions that affect blind fabric. For example, metal Venetian resists moisture well. This makes it useful for kitchen and bathroom environments. If you need a blind for either of those spaces, this is what you should go for. Metal Venetian is easy to clean. You don’t have to be as careful with it as you would be with wood. Gentle wiping of those slats is usually enough to cleanse your blinds. You don’t have to dismantle the blinds and reinstall after cleaning. Metal Venetian blinds are also lightweight. This makes them convenient for use without much effort. But beyond their weight, metal Venetian reflects sunlight better than other slat types. 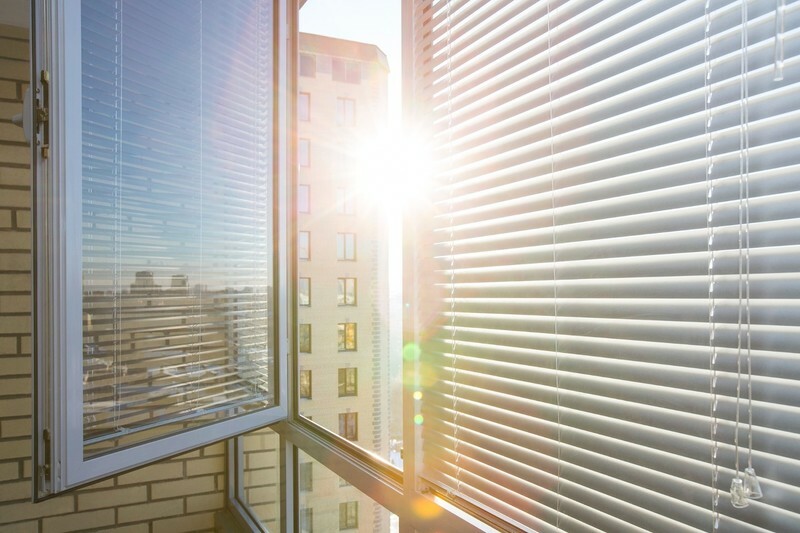 This gives your blinds an extra layer of heat and light resistance. Of all slat types, metal Venetian is the most customizable for your windows. You can get them at 15, 25, 35, and 50mm widths. Thus, you can use a universal style across multiple rooms at your renovated space. With Venetian Blinds, accuracy is key. You must install headrails, bottomrails, and match up cords in symmetry. Simply contact us for a measuring. We’ll provide you blind style and colour you need, with flawless installation. Fauxwood venetian blinds combine the style of wood, and the practicality of metal blinds. Here at LA Blinds, we offer you a selection of fauxwood blinds that will dazzle, while enduring long-term use. The majority of homes use fauxwood venetian blinds as a window decorative. We assume you might be considering a set too. This is something we recommend, especially as a compliment to your interior setup. If you have wood or fauxwood flooring installed, such blinds match well with them. Also, fauxwood venetian blinds work well with more classic forms of furniture. If you’re changing your home’s blinds, or know someone that is, we recommend you this variant. Being fauxwood, you have more options as to colouring. You have dozens of color options, with at least 6 wood tones to choose from. You can pick a colour blend that showcases natural wood colours. Also, you can aim for polished effect on your blinds. This is excellent for rooms that receive more sun than others at your residence. It allows you to better present the beauty of your blinds. Another option would be a more artificial mat colour. This is excellent for environments that are more modern in look. A well-renovated everyday living room works well with mat fauxwood colours. 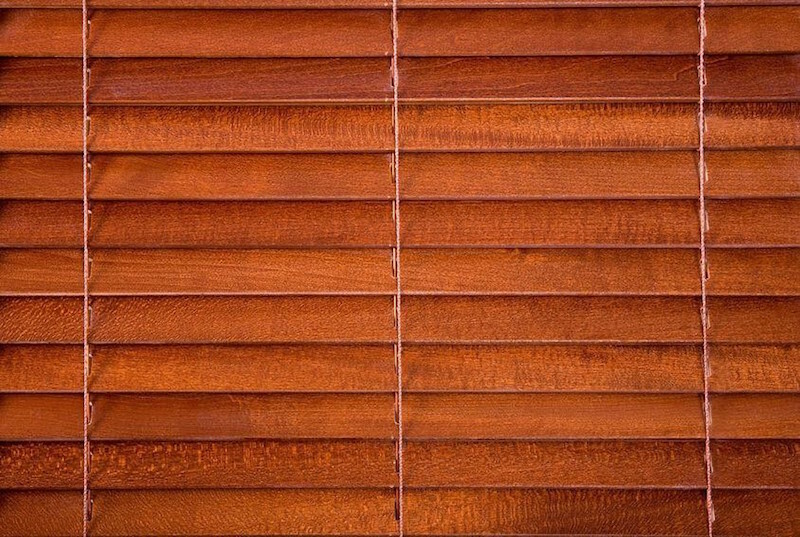 Slats for fauxwood are wider than those of other Venetian Blinds. You can get slats at 38mm, 50mm, and sometimes 63mm. This depends on the environment you’re in, and your own practical needs. Of all Venetian Blinds we offer, this is the most natural. Most wood Venetian blinds are made out of bamboo or oak. While less enduring than metal or fauxwood, wood Venetians are all about style. The wood used to create Venetian slats gives a natural look to your room. Thus, if you feel that fauxwood vinyl materials aren’t suitable for you, try natural wood. Wood Venetian comes with 35-50mm slats. They’re also available in beautiful white colours, such as silk and pure white. A Wood Venetian Blind is excellent for professional environments. Especially high status offices, where wood is always a classy touch. Thus, we highly recommend Wood Venetian for private offices. Public service spaces that try to offer a classic persona should use wood Venetian. This may be for any service, from a massage room to a well-styled hair salon. Wood Venetian is also a popular option for homes. They work best in places such as bedrooms and living rooms. Do note that being made from natural wood, moisture will be a problem. Natural wood absorbs moisture, and over a long period of time, may deform from the absorbed water. Thus, we do not recommend using Wood Venetian in areas that are high in humidity and moisture. Avoid using Wood Venetian in restrooms, kitchens, or places with excess vapor exposure.